Many people struggle to feed their families due to Universal Credit problems and poverty. It gets even harder over the winter months as the cold nights approach and Christmas comes around. Woodhouse Close Church and Community Centre in Bishop Auckland posted a plea on Facebook last week to encourage people to donate. They run both a food bank and a crisis response centre. 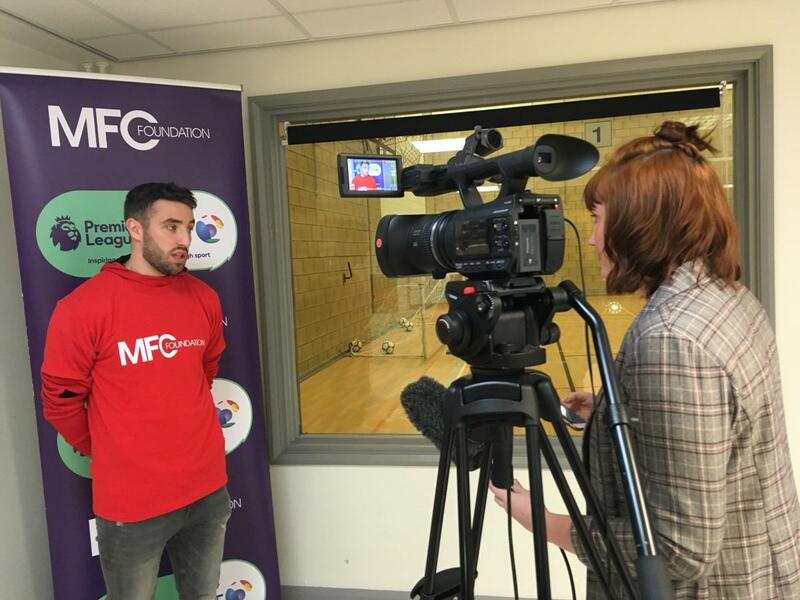 Watson Harrop is from Bishop Auckland and helped kick start fundraising for the food bank, setting up the Food Bank Nominations Facebook page where people can nominate their friends and family to donate. Local dad Watson Harrop, who started the Food Bank Nomination page. As a result of the church’s call out, Watson’s nomination page and the people of Bishop Auckland getting involved, the food bank has received more than a tonne of donations just this week. 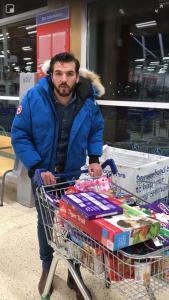 Gaz Miller is a local who has been donating to the food bank for the last 3 years and has seen the sad reality of the food bank over this time. 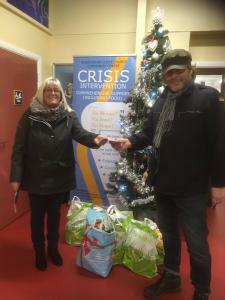 Gaz Miller donating to the food bank, pictured with manager Anne Ramshaw. Anne Ramshaw is the Church Centre Manager and helps run the food bank. She has seen first hand the destitute nature of the people that the food bank helps on a daily basis. The volunteers at Woodhouse Close Church are overwhelmed with the response of the people of Bishop Auckland, they have never seen anything like it. Over 1,600 people have been involved just on social media and that number keeps rising. 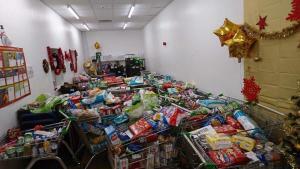 The donations to the food bank are constant and the store is getting fuller by the day. The Food Bank appeal has been deemed a Christmas Miracle as Bishop Auckland has come together to help the people in the community who will benefit from it most. You can get involved by donating to the food bank directly, leave donations at the local Tesco in the Bishop Auckland Retail Park or the Green Tree Public House on Cockton Hill road in the town. Any donation is hugely appreciated whether it be food or money, it will help people in the area have a more comfortable and safe winter. Only a small amount of the donations for the Woodhouse Close Food Bank.